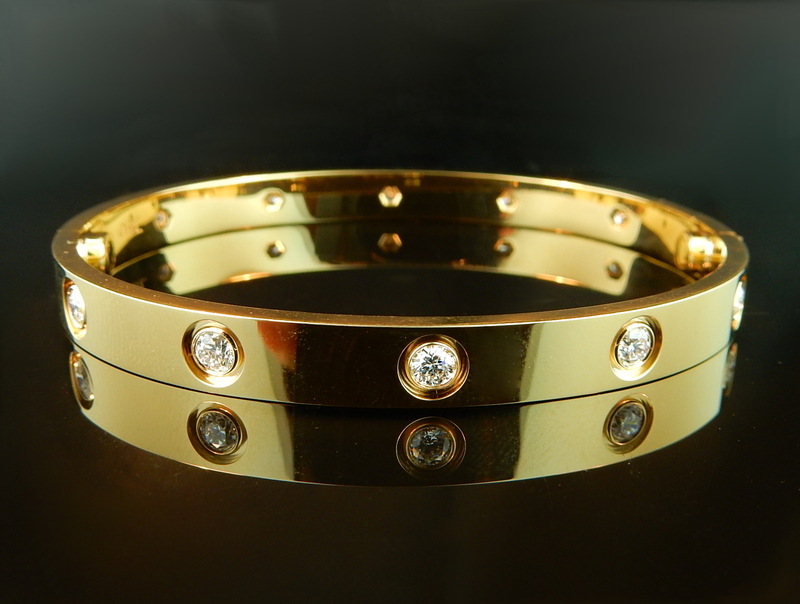 This diamond and 18k yellow gold bangle is extraordinary! The diamonds total 1.01tcw with VS clarity and F color. The striking contrast of the colorless diamonds and rich yellow gold merry together to create a symphony of beauty. 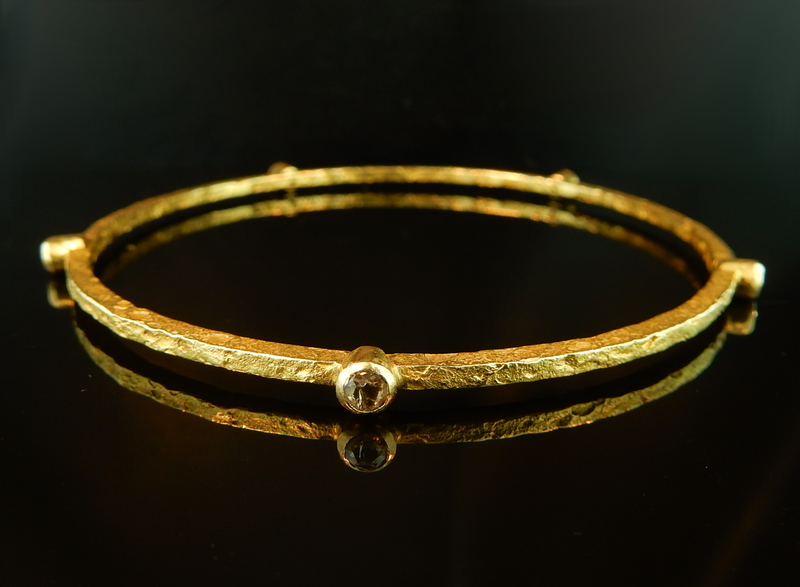 Yellow diamonds channel set in a dainty and vibrant bangle?! Yes please! 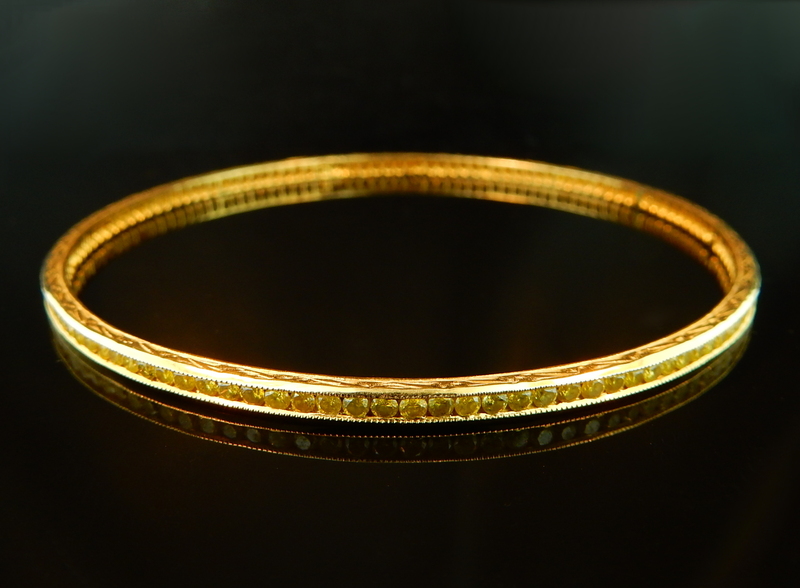 This charming yellow diamond and 18k yellow gold bangle gives off a simultaneous display of warm and rich yellows. 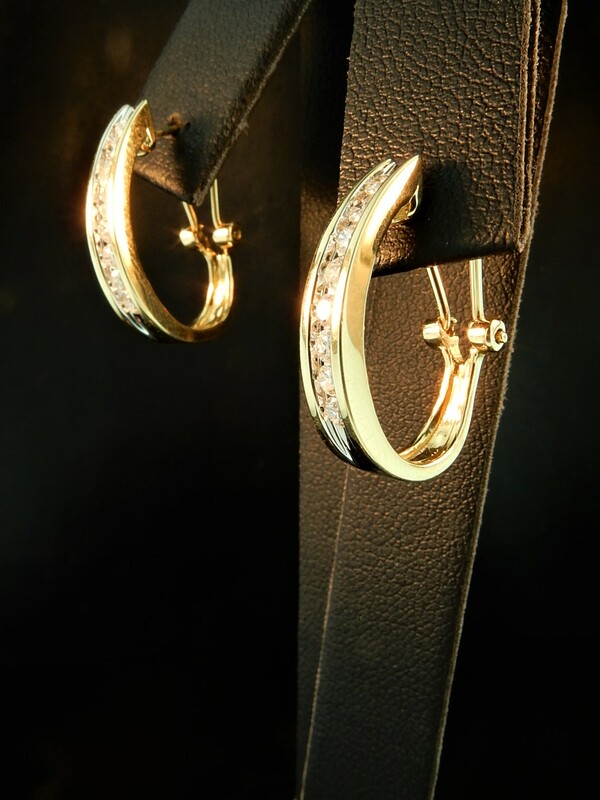 This piece gives off the perfect amount of sparkle while keeping the style everyday with the matted gold finish. Simplicity goes a long way! 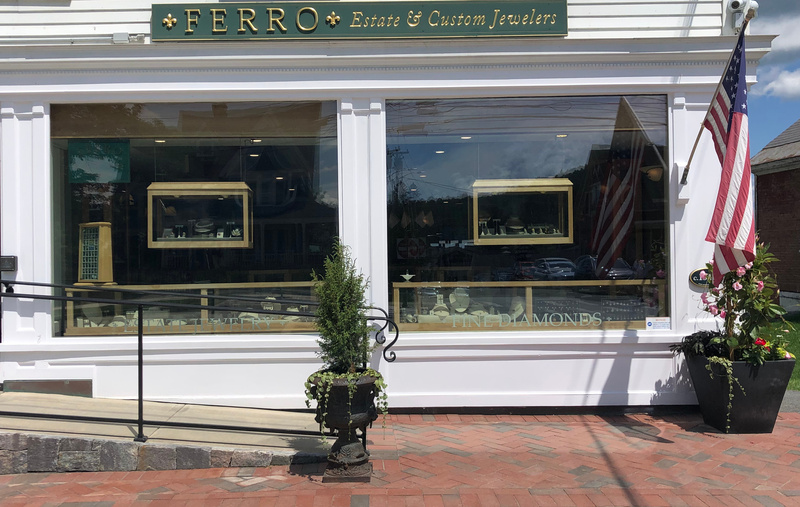 This classic raised bezel set diamond bangle features a very particular detail and finish that will have everyone asking where you get your jewelry. 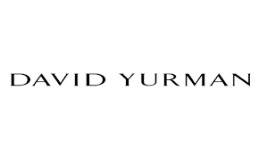 The five diamonds that make this piece what it is are brilliant and make the perfect accents. Rose gold has such a unique hue to it. 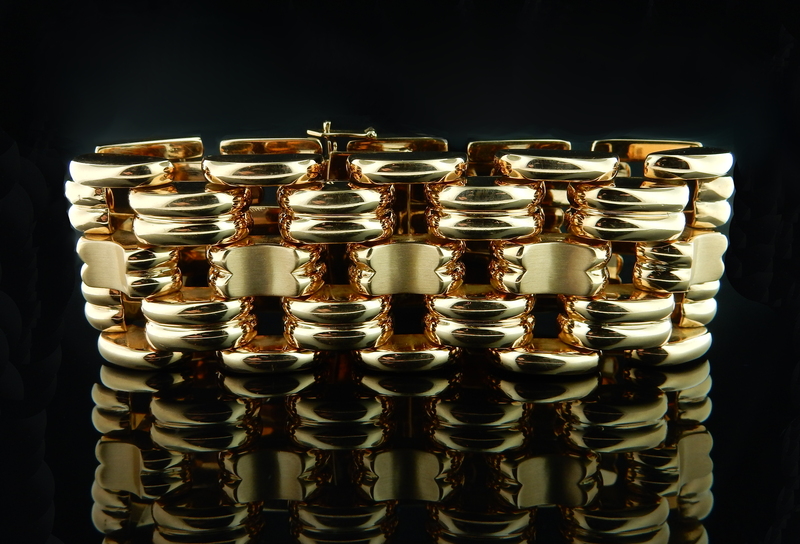 This 18k rose gold bracelet makes a huge statement. 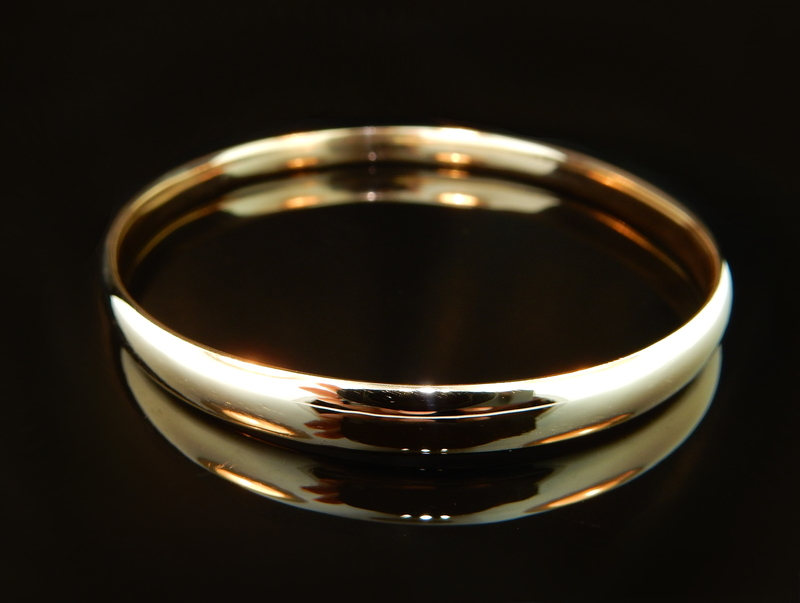 Weighing over 70dwt of high karat gold, this high polish piece is a must have. An incredible necklace from an incredible era! 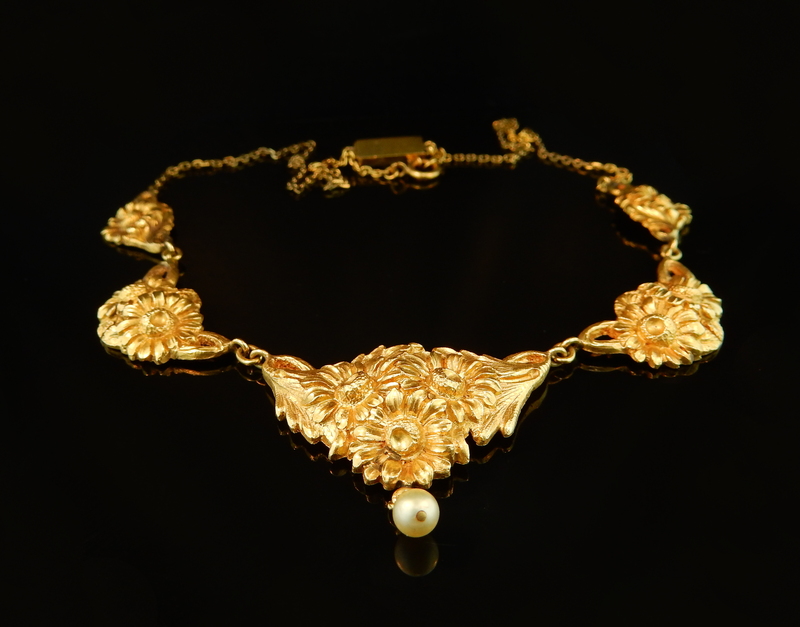 This antique high karat gold necklace showcases a whimsical floral detail. Wearing this piece makes you feel like royalty. What a cool ring! 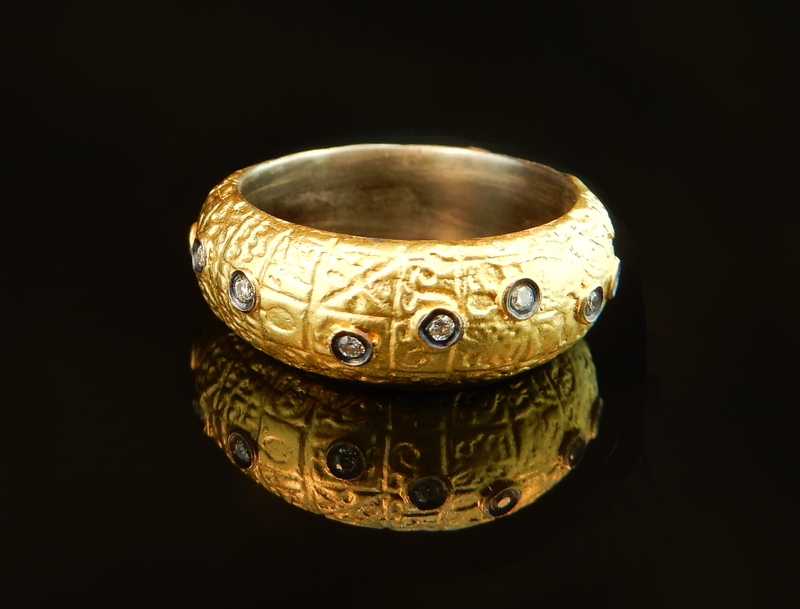 This sterling silver base ring has a thick coating of 22k yellow gold with flush set diamonds sprinkled in. A very unique piece for a unique person. This every day bangle is stunning. Mix and match this amazing piece with other gold bracelets or wear it by itself! 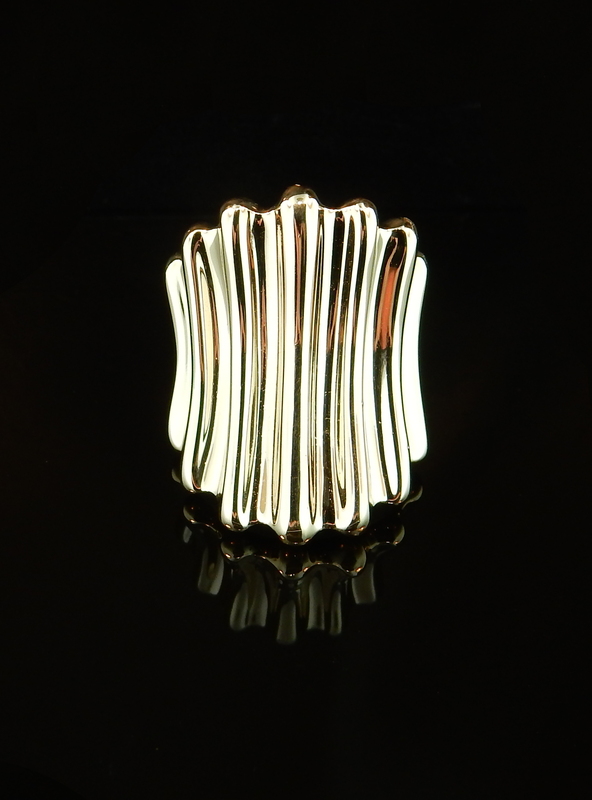 This very cool stripe flair ring in 14k yellow gold is the perfect accent piece for every day! It's heavyweight feel really packs a punch and it's simplicity is an elegant way to dress up any outfit. 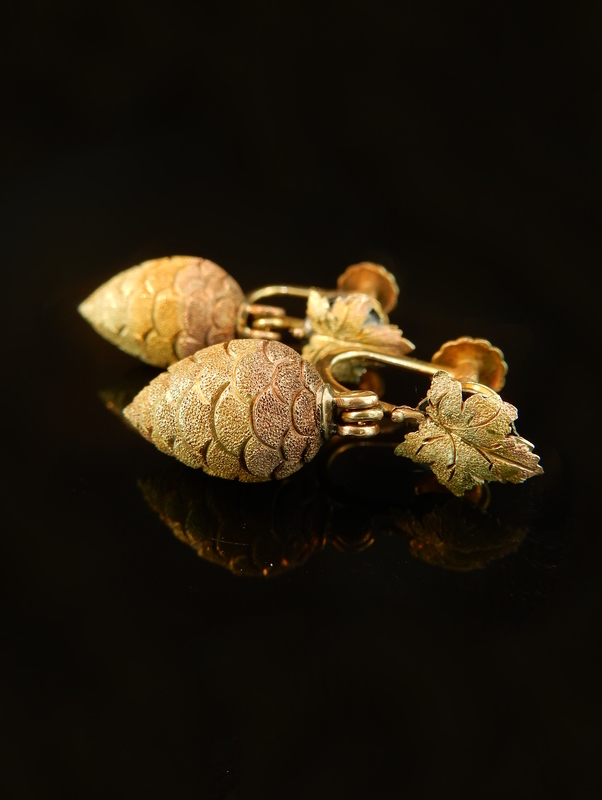 These earrings are hand chased which is a hammering process that creates a remarkably realistic resemblance to a real pine cone and leaf. These incredible earrings were featured in the book "Masterpieces of American Jewelry" by Judith Price. They are circa 1900 and are perfect for any antique jewelry lover. This incredible tri-tone gold band is a piece of history. This piece was featured in "The Glitter and the Gold" by Newmark Museum. This memorable piece is an inspiring work of art. 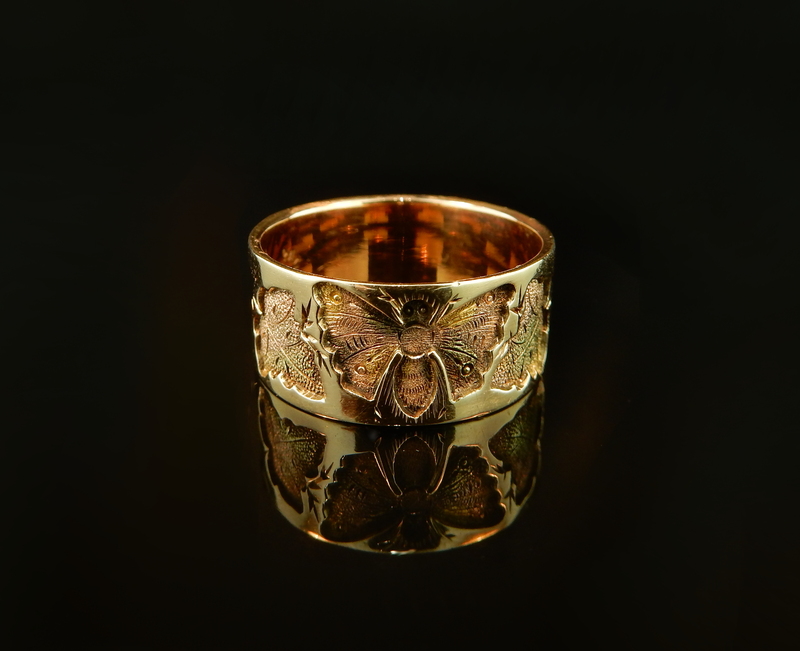 With a delicate leaf and butterfly motif, this dazzling gold ring is one of a kind. 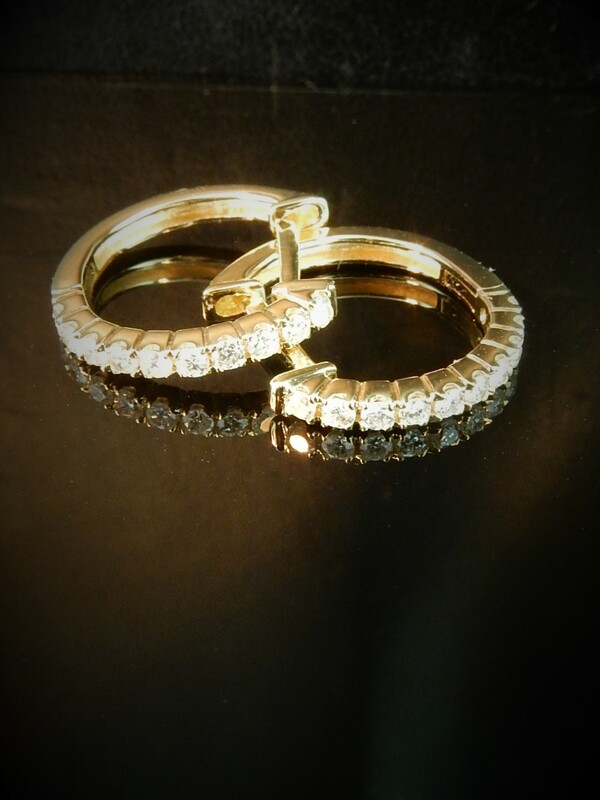 These luxurious yet practical diamond and 14k yellow gold channel set hoop earrings include 0.50tcw of scintillating round brilliant diamonds. Their sophistication and elegance just evaporates off! Smaller styles of hoops are easy to wear every day. By adding these high clarity diamonds, these earrings certainly brighten up the feel of anyone's day! Accent your wardrobe with these simply elegant huggies!